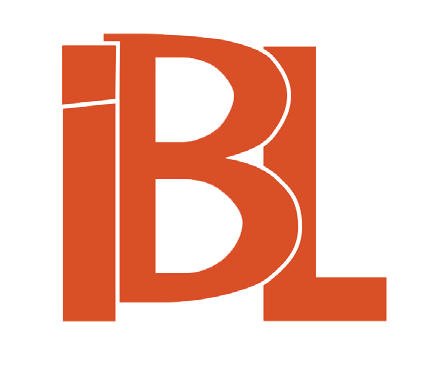 The article refers to the breakthrough years 1944–1948 in the history of Polish literature. It was then that the credibility of the post war Polish literature was settled. The credibility depended on its ability to record the apocalyptic, war-occupation experience, on its exploring the heart of the matter and on finding a new form to express it. Tadeusz Borowski’s prose and Tadeusz Różewicz’s poetry met this challenge. This breakthrough is illustrated with the literary-history context stretching from the Inter-war Years, World War II, Social Realism, the breakthrough of 1956 and 1989 and newest texts. 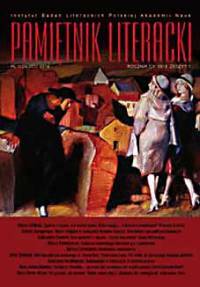 A special issue in the article is the romantic point of reference, being a key moment for the Polish post-war literature, and particularly for the crucial changes made in it by Borowski and Różewicz in the years 1944–1948. Socialist realism realization of apocrypha proves to be one of the evidences of “deep” community of enemies. Medieval in its form and communist in its contents, socialist apocrypha becomes a genre form of biographic stories devoted to the leaders of proletariat revolution, and as an orthodox message of communist belief it fills the blanks of canonical writings or – precisely – the leaders’ official biographies. “Engineering of human souls” to a lesser degree utilizes the characteristic of apocrypha art of imagery and to a large extent takes up its parenetic-persuasive functionality. 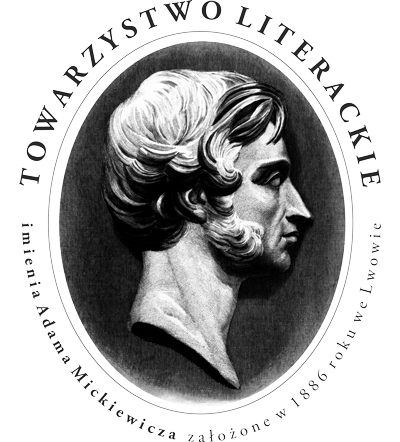 Tadeusz Konwicki produced his prose in an incessant dialogue with censorship. He wanted to imply an independent vision of guerillas’ struggles in Vilnius forests, Stalinism and grey, depressing reality of the Polish People’s Republic. Konwicki’s language is rich in traps set for the workers of Main Office for the Control of Press, Publication and Spectacles. A precise narration, in which every detail was meaningful, frequent and purposeful blurring of the cause-result sequence and intentional resort to silence compose a subtle and brilliant poetics of Holes in the Sky, Contemporary Dream Book, Ascension into Heaven. The issuing of the last put Konwicki on the censorship list in 1967. Thus The Anthropos-Specter-Beast (1969) – a novel seemingly for children was treated by censorship with suspicion. When published uncensored in samizdat, the novel might display a tough, unsubtle narration, coming close to kitsch. The official edition of New World Avenue and Vicinity (1986) is interesting as it contains a playful dialogue with a censor – a discussion on the borders of an author’s freedom. The article tackles the condition of structure and historical issues of Stanisław Lem’s first novelistic cycle. History, which in “Time Saved” took the shape of chaos and cruelty of World War II, is seen by young Lem as a condition opposite to human cognitive activity destroying skillful individuals and distorting the aim of science. History also shapes the structure of the trilogy: the confusion of war is reflected in the incohesion of the cycle, which is a symptom of insufficiency of forms of traditional novelistic prose reserved for the theme of war. “Time Saved” is a part of a broader process in Polish post-war prose, though forgotten due to its socialist realism staffage. The article also points out at the philosophical and scientific problems present in the cycle and developed in the writer’s later texts. “Time Saved” is seen as a catalogue of Lem’s favorite themes, from which we can picture the problematic lines of his fiction and essay writing. The article refers to Maria Dąbrowska’s problems connected with the translations of her works into German, and especially with the collection “Morning Star”, in which the most important story was “Countryside Wedding”. The paper evokes the political background of Dąbrowska’s difficult contacts with the German publishers, being different in East and West Germany. 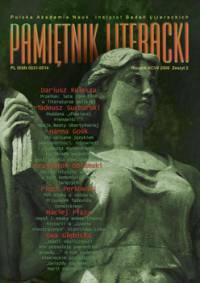 While the publishing problems in the German Democratic Republic resulted from fear of presenting the reader a new formula of Polish literature called later “thaw literature”, in Western Germany, if disposed of a special political meaning, the texts were unattractive and old-fashioned. Atmosphere of scandal that accompanied the ban on publishing “Countryside Wedding” indicated more than German readers could learn by reading it. Dąbrowska’s correspondence with the German publishers reveals the absurd of censorship requirements in the German Democratic Republic in times when it was much more lenient even in the Soviet Union and Czechoslovakia. Dąbrowska’s fight for the change of afterword to the collection of Der dritte Herbst shows the scope of hypocrisy about the newest Polish history in German propaganda around 1960. The correspondence also suggests that the high level of translation of the collection “Morning Star” and others was significantly added by Jan Pierzchała, who at this time worked in Berlin as cultural attaché. Quotations from Dąbrowska’s letters reveal also her views of the art of translation. The author of the paper analyses the specific construction of Fyodor Dostoyevsky’s prose, which he calls the “internal text.” He assumes that it is an additional structure of signs placed into a literary text that breaks the text-reality tension (this is what makes it different from a common case of “story within a story” and a quotation). Thus Dostoyevsky’s writings transcends not only the borders of broadly understood realism, but also touches the relationship between literature and reality in total. At the same time, the author recalls the older, “pre-Balzacian” type of novel, the sources of which are found in Cervantes’s Don Quixote. This model questions the narrator’s credibility and obviousness of the world presented. Pietrzak proves that in Dostoyevsky’s text, both the internal text and the world presented are in a dialectic tension and continuously shape one another.